Reassurance shield after the Seven Lakes Drive split. 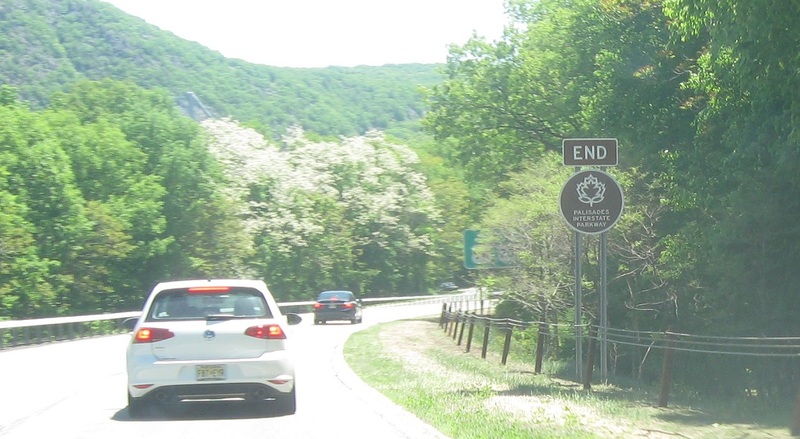 As we approach US 9W and US 202 at the Bear Mountain Bridge, the Palisades Parkway ends. 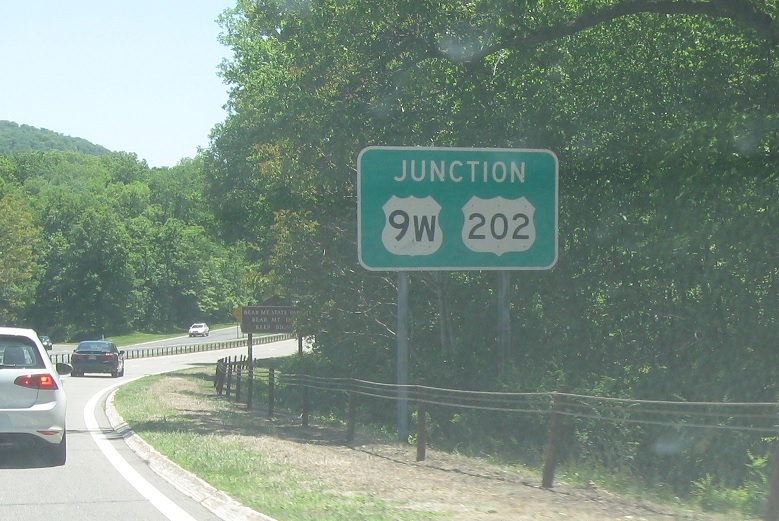 Junction US 9W and 202 coming up. As we enter a traffic circle, keep right for 9W/202 south. 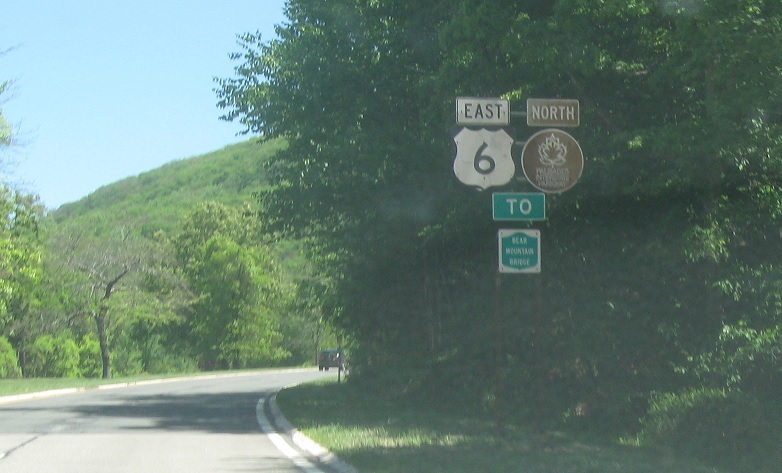 Turn hard left for 9W north. Keep leftish for 6 east/202 north over the Bear Mountain Bridge. 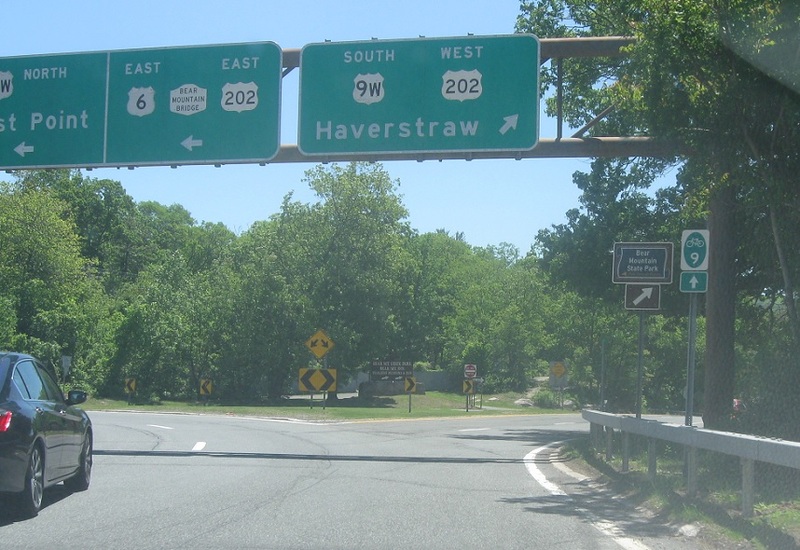 The Palisades Interstate Parkway ends.